When I come up with an idea or get excited about something I’ve created, I’m not likely to give up easily. When I can get other people excited about it too, that’s even better. I appreciate all the support I’ve had so far. The last year and half of Peoria Music Live took a lot of people believing in what I’m doing, as well as adding in their expertise when I needed it. That stubbornness is a big part of how a girl who was afraid to walk into a bar alone started promoting live music and has kept it going for so long! I love what I’m doing, but if I wasn’t stubborn, convinced this would succeed, positive that Peoria has more to offer when we all work together, I wouldn’t have made it this far. That being said, I finally got my taxes finished this weekend and they came with a check I didn't expect... No, not a refund check. A reality check. Looking my income and expenses for the last year in black in white was eye-opening, to say the least. I've talked a lot about the big plans I have for Peoria Music Live and for Peoria in general. These aren’t just ideas. These are plans. I plan to create and fund arts programs in our area. I have plans to see Peoria bigger and better than most people who live here currently imagine it can be. 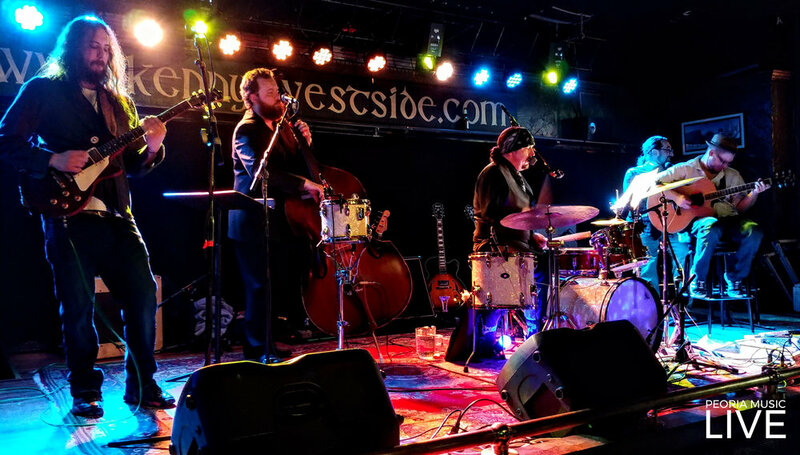 I’ve told several people, “Someday artists in Nashville are going to come to Peoria because they want to be seen.” This isn’t just about music. If all Peoria had was a lot of great artists, that dream wouldn’t be attainable. But music is the foundation being laid to improve and promote Peoria’s businesses, culture, and everything else we have to offer. The potential is huge, but I’ve reached a point where gathering the resources is imperative. 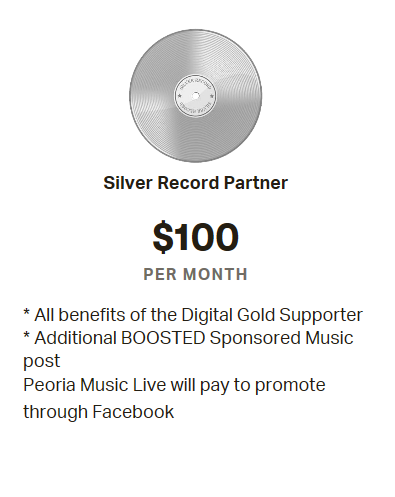 Monetizing Peoria Music Live is critical to its survival in anything but its simplest form. While I’ve put several support plans into place, and we do have a handful of amazing sponsors already, finding more individuals, small businesses, and corporations who have similar core values, including a passion for the arts and for the Peoria Area, is something I'm struggling with. Like I said, I’m stubborn. Peoria Music Live isn’t going away. It’s needed and I love doing it! Still, I could use some help. So I decided to let you know how you could do that. While I continue to work on getting help with funding, there are three ways you can help us right now. Facebook Reviews - I've turned our Facebook Reviews ON. Whether you are a fan, artist, or a business owner, taking a minute to write a review telling people how and why PML is useful to you would be wonderful. 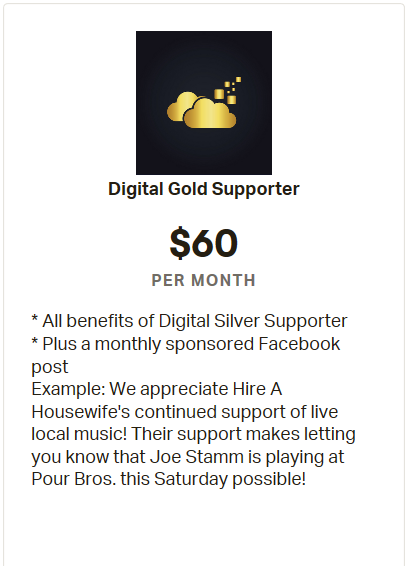 It’s a great way to show supporters the culture of loyalty and support we have here in the Peoria Area music scene. Artists & Venues - It probably seems like it goes without saying, but let's keep working together! 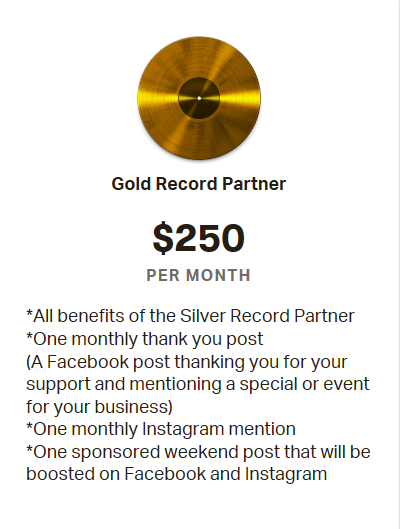 Showing that you appreciate and believe in what we are doing is going a long way towards helping Peoria Music Live bring this all together and attract new supporters. Feel free to email me if you have a problem or a question. Sometimes I get busy, but I don’t want anyone to feel like you are bothering me. I don't purposely leave anyone off of any lists! Share your ideas with me too! I'm always up for hearing new ones! 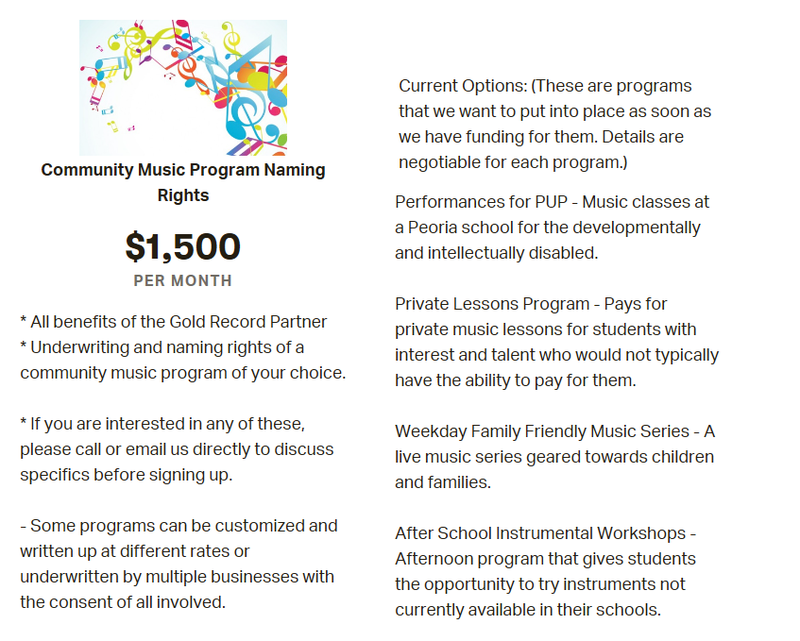 Tell Your Friends Who Own Businesses - If you know someone who might be interested in supporting Peoria Music Live through their business, please send them my direction. I’d be happy to talk to them. 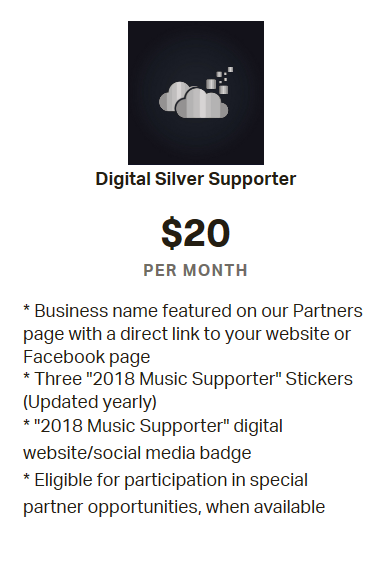 We have several sponsorship packages available already and would love the chance to customize one for anyone who wants to be known as a supporter of live local music in the Peoria Area. I have taken pictures of our current support options from our Patreon page and put them in the gallery below. Thanks you so much for your continued support.